By far the most popular choice. Has a heart on it. A message of long life and well wishes. Has a picture of a butterfly on it. A reminder to keep peace in the home, community, and around the world. Has a dove on it. No matter what difficulty your friend may be facing, there's always hope for the future. Has a picture of a star and a moon. Whether we have faith in our friends, family, or God, it's important to hold strong to it. Has a little cross above the word Faith. A great way to remind us of the importance of following our Lord and Savior. Has a little fish above the print. 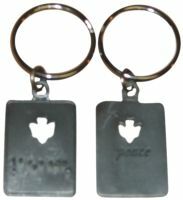 Buy five keychains and get one free. 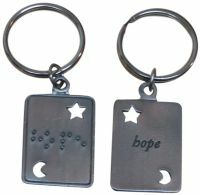 Keychains sport Braille and print word. 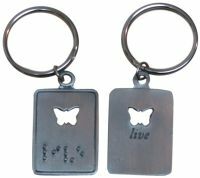 Each keychain also has an etched picture. 6 messages and pictures to choose from. 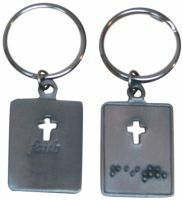 Buy 5 keychains in set and get the sixth one free. 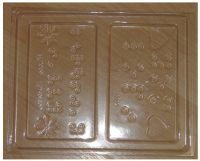 Measures about 1-1/2 in by 1 in. Shopping for someone who already seems to have read every type of book, used every gadget under the sun, and played every game? 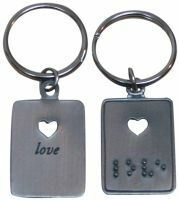 Well, why not try a couple of these cool Brailled keychains? Great for anyone of any age, they're made entirely of metal, so they'll last and last. 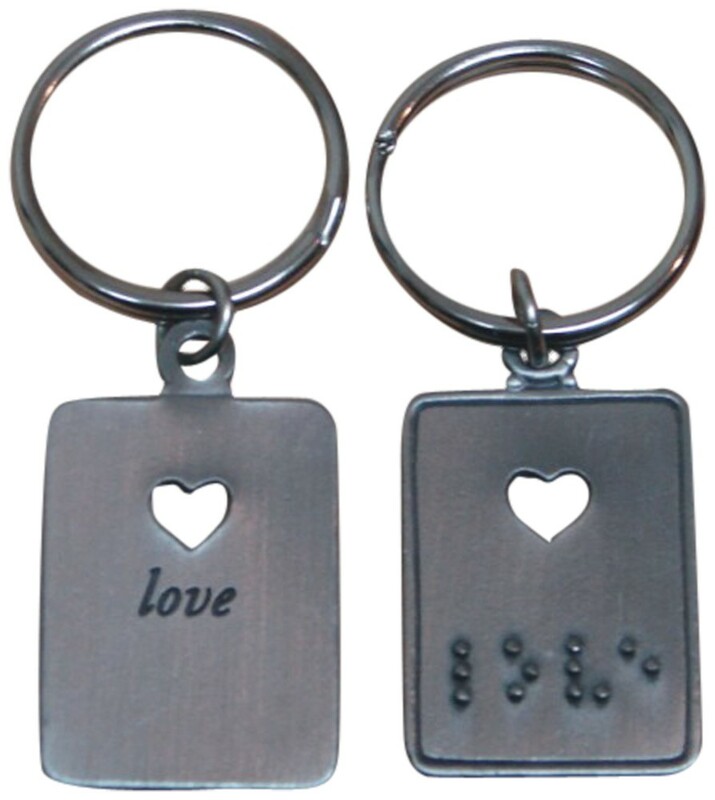 And attached to the sturdy keyring is a rectangle with the inspirational word of your choice engraved in print on one side, and embossed in quality, sharp Braille dots on the other. 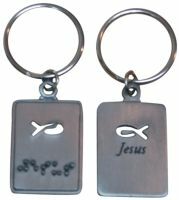 You just can't go wrong with these - after all, everybody has keys to look after, right?